The Sanlakbay programme was established in response to the government’s violent war on drugs. The initiative provides drug addicts with counselling, spiritual training, and job opportunities. At least 132 people have completed the programme in 12 parishes in the Archdiocese of Manila. About 30 people joined it in San Juan’s St John the Baptist parish. Manila (AsiaNews/CBCPNews) – A Church-based drug rehabilitation programme got a pat on the back from none other than Pope Francis. Cardinal Luis Antonio Tagle of Manila said the pope backs Sanlakbay, a programme of parish-based drug rehabilitation centres that operate in conjunction with local authorities and police. Citing his recent meeting with the pontiff at the Vatican, Card Tagle said he explained the programme to Francis. “And when he heard about it, with a twinkle in his eyes, he said, ‘that’s the way to go,” the prelate said in his homily during Mass to mark the programme’s first anniversary at the San Sebastian Church on Saturday. Established in response to the government’s violent war on drugs, the Church's initiative provides counselling, spiritual training, and even job opportunities to drug addicts. The faith-based approach is geared towards addicts’ healing and rehabilitation, and includes sports and arts. At least 132 former drug addicts in at least 12 parishes in the Archdiocese of Manila have completed the six-month programme so far. About 30 people have joined the Sanlakbay programme in St John the Baptist parish in San Juan. 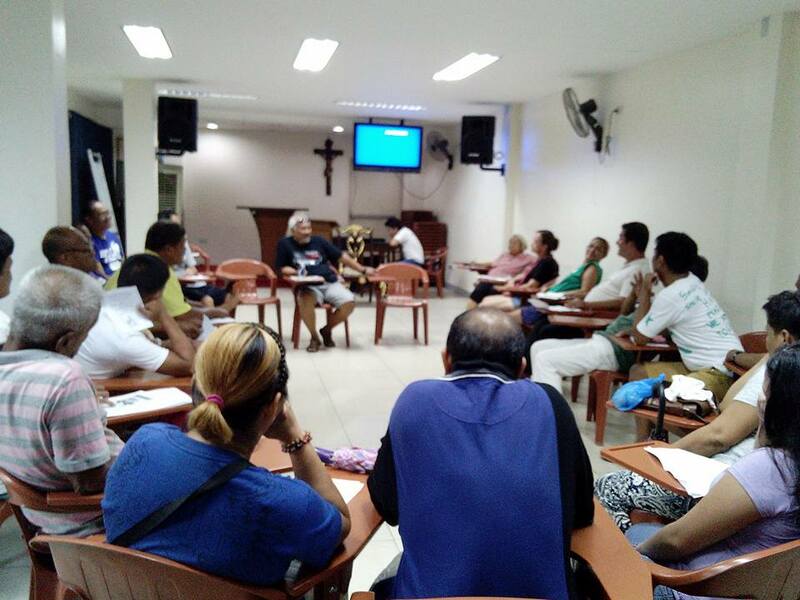 The parish organises regular meetings (pictured) in which drug addicts (kalabays) talk about their experience in drug rehabilitation and the problems they face in reintegrating society. The meetings are also marked by moments of prayer, so that people find in the faith the strength to continue on their path of redemption.